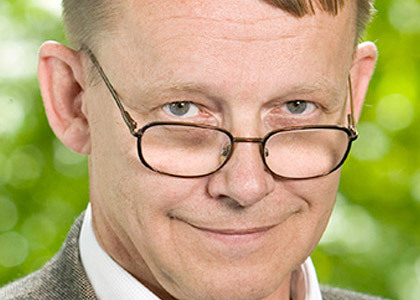 Hans Rosling is professor of International Health at Karolinska Institutet, the medical university in Stockholm, Sweden. When working as a young doctor in Mozambique he discovered a previously unrecognised paralytic disease that his research team named Konzo. His 20 years of research on global health concerned the character of the links between economy and health in Africa, Asia and Latin America. He has been adviser to WHO and UNICEF, co-founded Médecines sans Frontiers in Sweden and started new courses and published a textbook on Global Health. He is a member of the International Group of the Swedish Academy of Science and of the Global Agenda Network of the World Economic Forum in Switzerland. He co-founded Gapminder Foundation (www.gapminder.org) with his son and daughter-in-law. Gapminder promotes a fact-based world view by converting the international statistics into moving, interactive, understandable and enjoyable graphics. This was first done by developing the Trendalyzer software that Google acquired in 2007. Using animations of global trends, Rosling lectures about past and contemporary economic, social and environmental changes in the world and he produces thematic videos using the same technique. His award-winning lectures on global trends have been labelled “humorous, yet deadly serious” and many in the audience realise their own world view is lagging many decades.